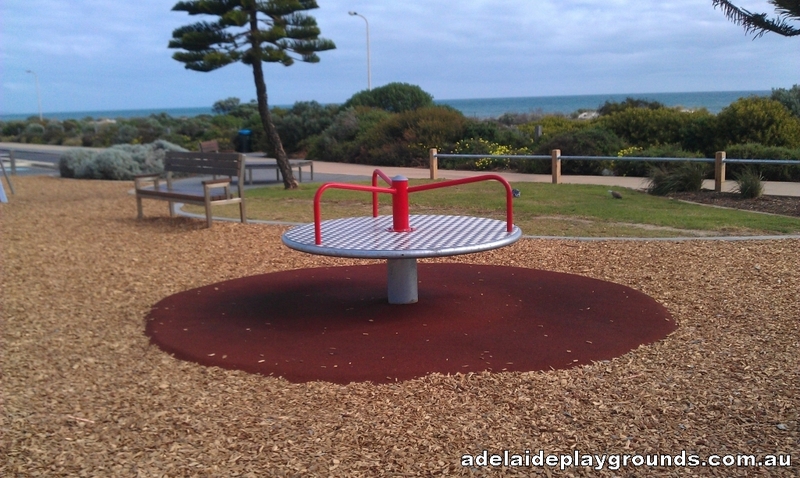 This playground has recently had some equipment added to it. 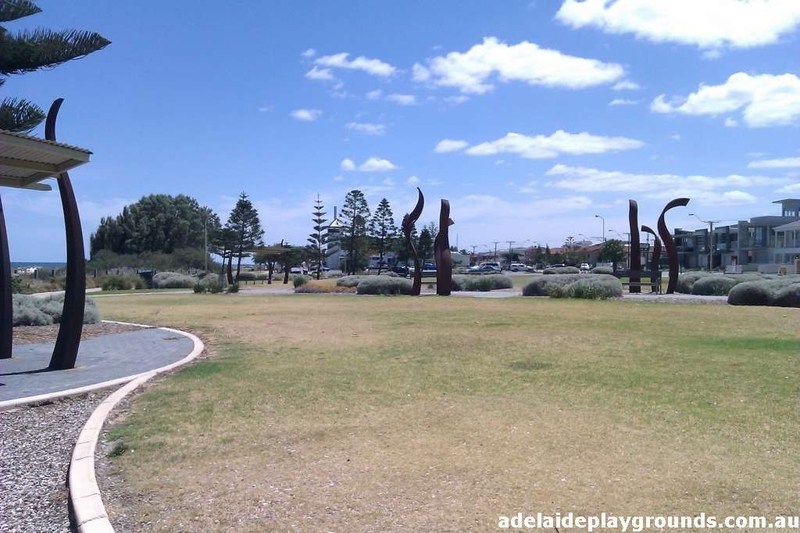 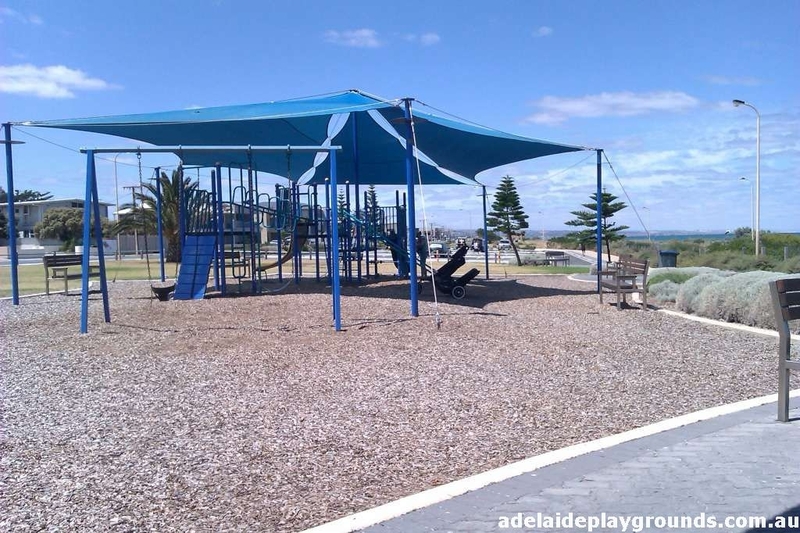 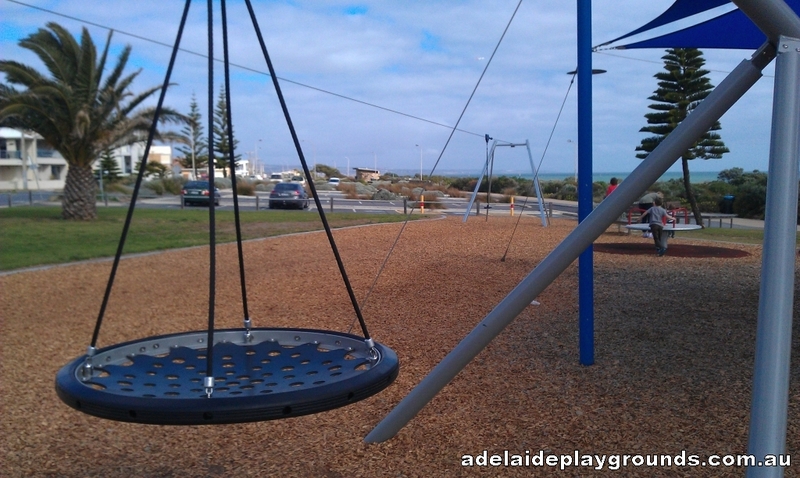 There is now a flying fox, roundabout and swings. 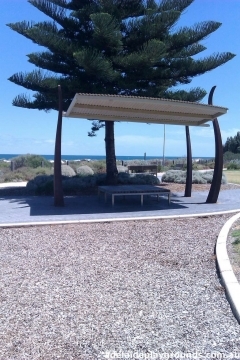 It is a pleasant setting for a family picnic overlooking the sea. 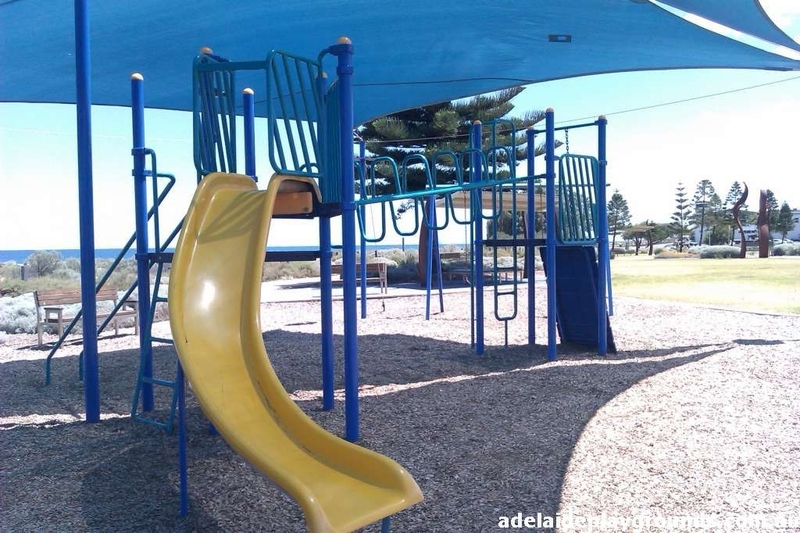 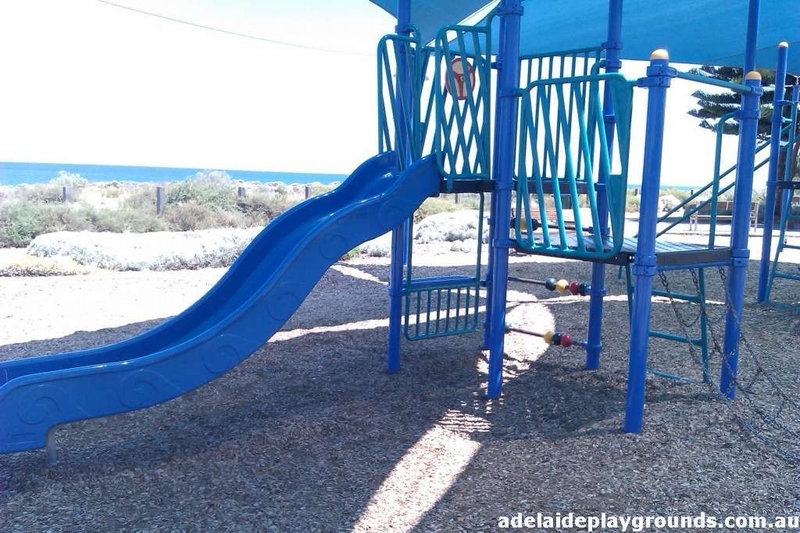 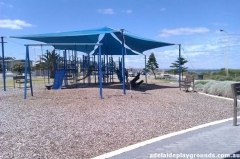 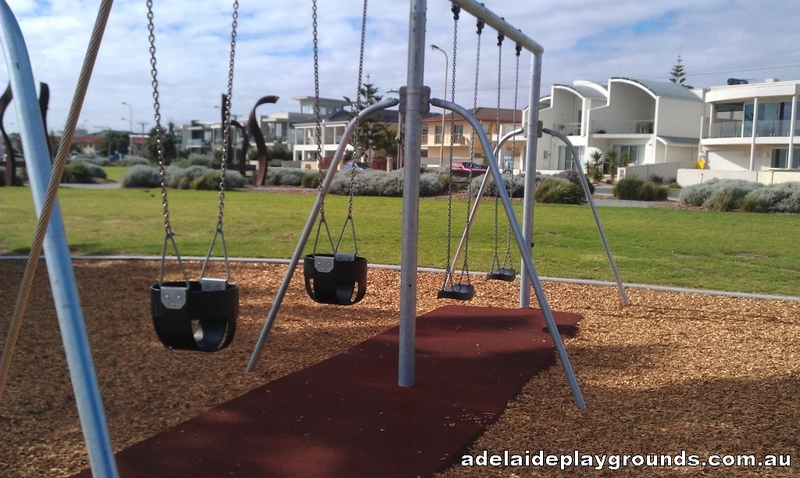 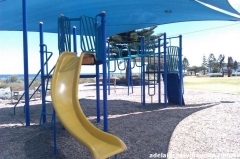 Some parts of the play equipment are high and require constant supervision for younger children, but there is a smaller section to the playground suitable for toddlers. 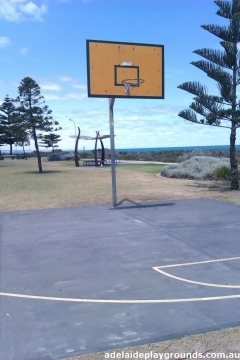 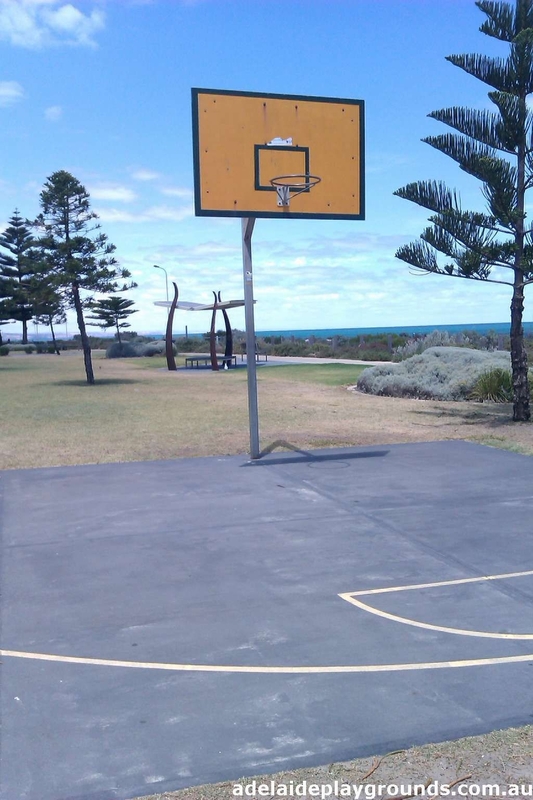 Basketball ring and grassed area provide alternative options to the playground. Toilets are a bit of a distance away down the esplanade, but can be walked to.